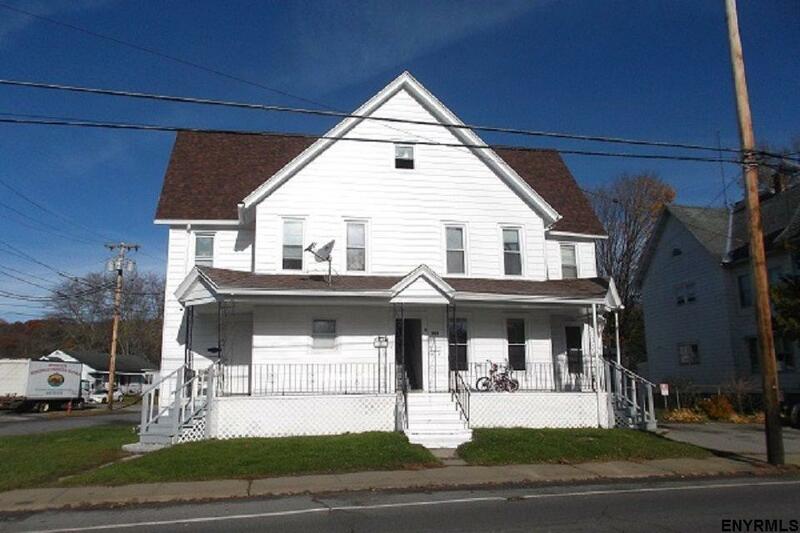 Great investment property with four units. All separate heat and hot water, Separate gas and electric. Owner pays sewer and water bill and trash dumpster. Two furnaces in the basement and two in the attic. Fenced yard. Two areas of parking blacktop. Alum. Siding. New front roof and back was done 10 years ago. Replacement windows. Open front porch. Fenced side yard. Off street parking. Two lots.